On Monday, three days before U.S. Supreme Court Nominee Brett Kavanaugh testified on allegations of sexual misconduct, ten Bowdoin students traveled to Washington D.C. to protest his confirmation. 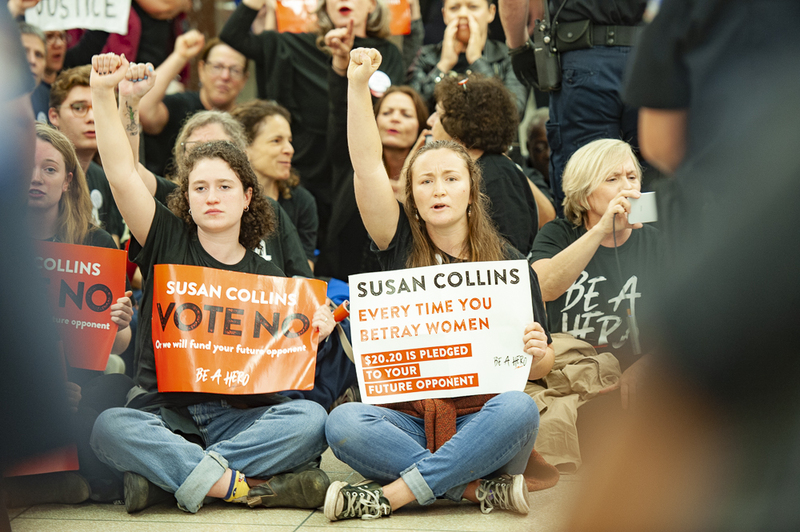 nine of the ten students were arrested outside of the office of Sen. Susan Collins (R-Maine) while lobbying Collins to vote no. On Thursday, two more Bowdoin students were arrested in Washington while blocking the street in front of the Supreme Court as Kavanaugh testified before the Senate Judiciary Committee. Sitting in solidarity Nine Bowdoin students, including seven first years, traveled to Washington, D.C. to protest the confirmation of U.S. Supreme Court nominee Brett Kavanaugh. Eight of them were arrested. The students were a part of a number of demonstrations that took place across the country in the lead-up to the Kavanaugh’s testimony. Arguments articulated in opposition to the nomination have been diverse, ranging from reproductive rights and environmental protections to his opinions on executive power; however, they were largely united this week in their support for the three women—Christine Blasey Ford, Julie Swetnick and Deborah Ramirez—who have publicly accused Kavanaugh of sexual misconduct. The students’ travel expenses and bail funds were crowndfunded through the Be A Hero campaign, a group led by activist Ady Barkan. Stephen Boe ’22 took part in a legal observer training also organized by Be A Hero and spent Monday acting as an observer during the arrests of his fellow students. Emily Olick-Llano ’20 flew to Washington yesterday to protest outside Kavanaugh’s hearing and this morning’s vote. “It was an immense privilege to be here and witness so many people—especially women—from different backgrounds rallying together to support Dr. Ford while she testified and to stand in solidarity with her and other survivors,” Olick-Llano wrote in a text to the Orient. Olick-Llano and Risa Fox ’20 were arrested on Thursday while protesting outside the Supreme Court. Micah Wilson ’22, who was also arrested, stressed the importance of civil disobedience. Bowdoin students were unable to complete their main goal of speaking with Collins—an important swing vote for the Kavanaugh nomination—but they did meet with Maine’s other Senator, Angus King (I-Maine), as well as add to the pressure on Collins to oppose Kavanaugh’s nomination. Editors Note, 9/28/2018 at 4:47 p.m.: An earlier version of this article stated that the protesters’ travel expenses and bail were covered by Mainers for Accountable Leadership, the Women’s March organization and the Center for Popular Democracy, and their itineraries were coordinated by Be A Hero. The funding came from Be A Hero, which and an outgrowth of the Center for Popular Democracy. The students coordinated with the other organizations but did not receive financial support. It’s amazing that these students are blessed with clairvoyant powers of predicting how some hypothetical future decision will be decided. The Affordable Care Act has already passed SCOTUS muster. 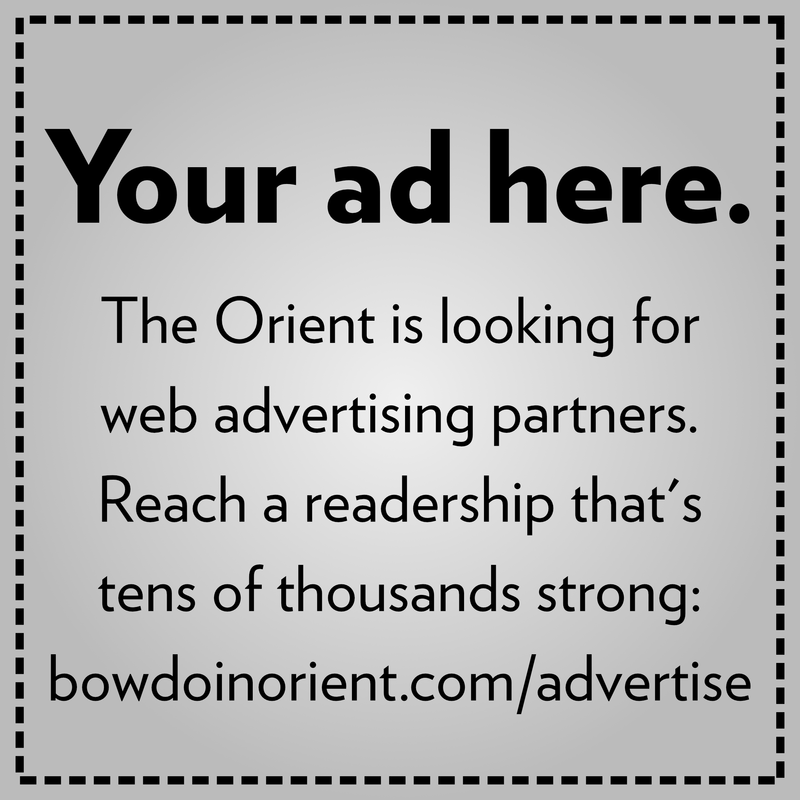 Is this an example of the open and respectful interchange of ideas that is fostered at Bowdoin. Peaceful protest is fine, disrupting other people is not. Maybe acting in a more civil maner would have resulted in a meeting with Senator Collins. This was not behavior one should be proud of. This headline is a mess.